Every parent enjoys taking a picture of their children on their first day of school. This is a memorable day that every parent and child have throughout their lives. 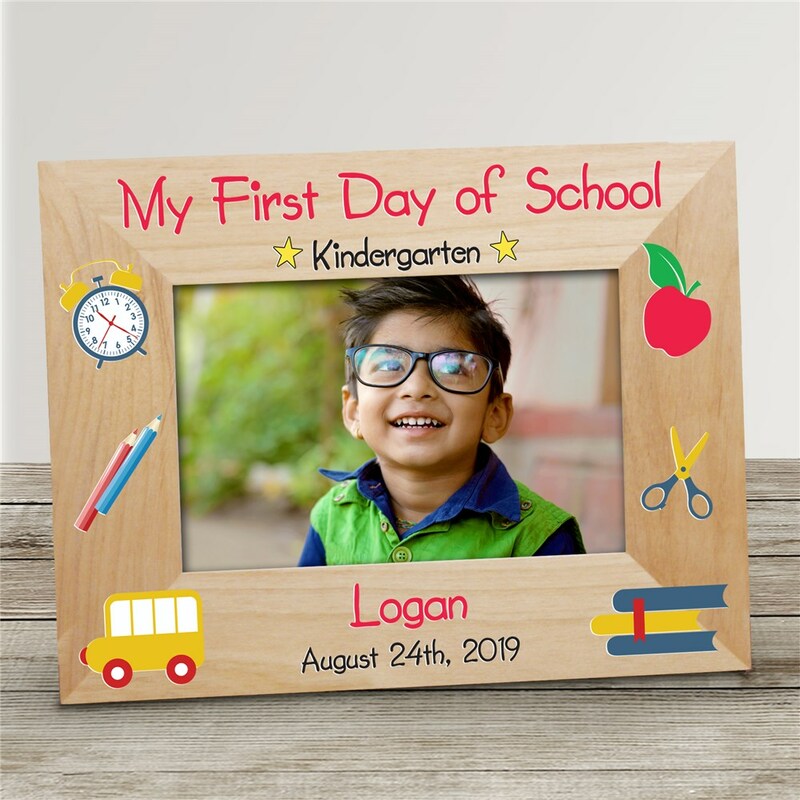 Make that picture much more special with a Personalized First Day of School Wooden Frame. We will custom create this First Day Of School Pictures Frame with any grade, any name and any date. Makes a great Back to School gift to cherish forever. I ordered 3 of these frames and just love them. My goddaughter started Kindergarten on August 20th so I had them all three personalized with her name and date. What a nice keepsake! Wow! I'm impressed. Fantastic quality and craftsmanship. This is a must-have frame for your little one(s). The product is beautiful and arrives just as described and pictured. I would definitely recommend as a keepsake for the precious experience of having a child entering school.